I've had a trip planned for a while now that I'm overly excited about. I know I'm overly excited and I also know I'm putting way too much expectation on the whole thing, but that's how we moms with grown up children living miles away roll. We soar high, dip low, then strap in and do it all over again. My younger daughter (that's her on the left) is a teacher and on spring break next week. My older daughter (that's her on the right) is six months pregnant and living on the other side of the country, soooo...hubs said go and we're going. He'll stay here and mind the store so to speak, and that's just one more thing about this next week to feel grateful for. My daughter's husband will be away working so it will be just us girls for one whole entire complete week, which is a rare and precious gift. And most days I see it that way. Then there are the other days. The days I can already feel myself thinking it won't be enough, because it's never enough. A friend of mine told me she almost dreads going to visit her daughter because she looks so forward to it for so long beforehand, and then it's over in a flash, and I could feel the longing and the heartache in her words right down to my marrow. Parenting is something I believe God uses to sanctify us. He has used every season of growing up girls to refine me and change me into who He wants me to be, including this current season where my girls are fully grown. Why did I ever imagine there would be some stopping point to the seasons of parenting? I've lived away from my own parents pretty much all my adult life. I grew up in a happy home, and had a wonderful childhood. I loved my parents very much, but I've also loved the road I've walked as an adult. I remind myself of that a lot these days as my daughters navigate the paths God sets before them. I hold tightly to the truth that He is enough. This separation stuff is a tough thing. I do okay with my girls because I know they are living the life they want and I'm happy for them. It's a little harder with the grandson, because he didn't choose to be away from his GiGi. lol I feel like I was just getting to know him and now he's gone. We just video chat a lot and hoping to go see them about once a month. Hope you enjoy every second with your daughters and make lots of wonderful memories to last during the separations. Great writing! Hi! 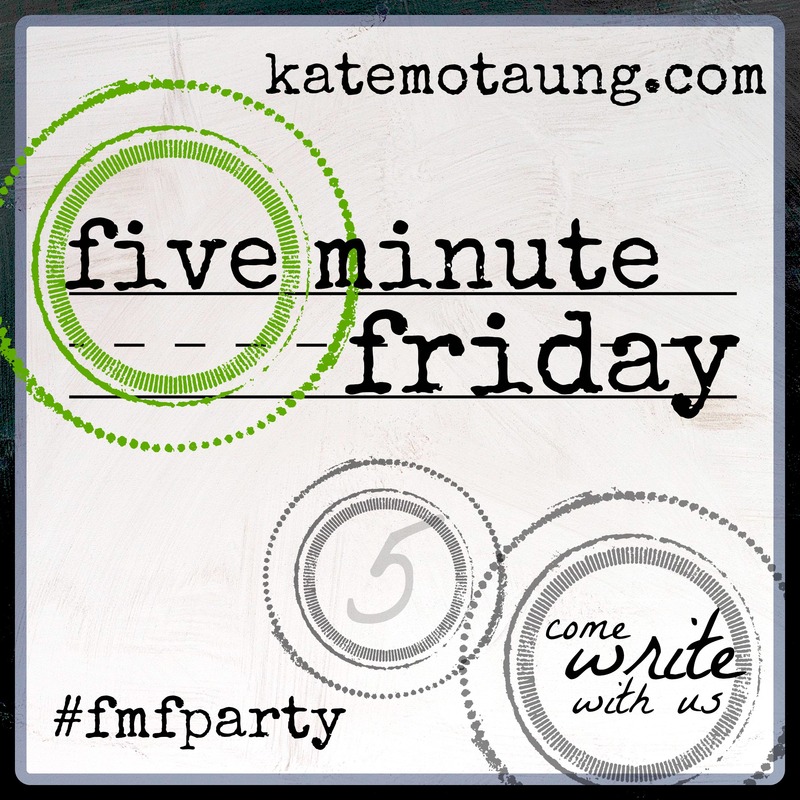 I'm new to the Five Minute Friday, but I really enjoyed reading your perspective on motherhood! It's the middle of the elementary/middle school years for me currently. I so appreciated your reminder to just love the moment. :) Parenting is hard but there aren't many moms saying back to us still in the carpool lane - being a mom is always going to be hard - the hard just changes. If I keep expecting fluffy Pinterest mom-moments to drift my way, I will live a life of unmet expectations. Thanks! Girl! I cannot imagine my daughters, I have three in their 20's, being that far away from me. They are all currently at home, two in school, and the other with a husband in school, therefore their little family of three is living with us as well. As much as we often long for an empty nest after 27 years of parenting, we know that when (if) it comes, it will be a new obstacle as much as a blessing in our lives. Thank you for sharing both the hope nad the heartache that comes with parenting! I can't imagine not being close to my kids once they're settled and I'm so glad I'm close to my daughter right now. My grandson couldn't wait until his due date of mid June to arrive. He was born last Friday weighing 2lb 6oz. He's doing well but this week has been an emotional rollercoaster. We didn't even have time for the baby shower! Enjoy your trip Joyce and make the most of your precious girlie time. Your grandson and your daughter, your whole family, are in my prayers. Congratulations and I hope he and his mommy are doing well. Oh, next week is going to be such a memory making time for you girls. I'll look forward to hearing all about it. Yes, HE is enough! It's so tough. We are separated from our daughter for the first time - military orders took us to the East Coast, she's on the West in school. I thought it would kill me to be that far away but as the time to move approached, I felt a peace. I knew that she was in a good place - school, work, and sports to occupy her, good friends to support her, the family dog with her (she'd taken her off to college the year before), and a healthy dose of common sense when it came to making decisions. There is no stopping to the season of parenting as you say, you'll always be a parent, it just takes a different form when your children grow up and live away from you. I'm crying!!!! This is how I feel, just couldn't put it into such beautiful words as you have. I love the part of "God sanctifies us - using every season" - oh that is so true. I know these feelings all to well! My youngest lives only 3 miles south - I would have a hard time with across country. The older is closer but she is a gypsy...she is in China with her husband...this is the like the 10th country in 8 years.....she wants to travel before they adopt. Thanks for these words today! I'm so glad y'all are heading out west! 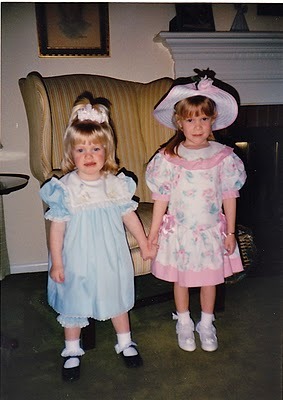 I know what you mean about the times when it's 'just us girls.' I love each of my daughters' SOs like they're my own but I still relish any time that it's just the lovelies and me. I know you'll have the best week so I'll just wish y'all safe travels there and back! He's got this, Joyce. You can do it. We can do it. I'm so happy for you. Have the best of times. We are heading to Montana in 16 days and I can't wait to hug Amber!!! Well as you know I SOO identify with every single word written here. I sometimes kind of measure my life in between the times I get to see my girl. I count the days getting more and more excited...then live the days trying to soak in every minute...and then have my "down time" after it's over...and then begin counting the days till next time. Even if it's going to be 3 or 4 months. Honestly I can tell you I do better now then I did the first three or four years, but then again adding all the grandkids on to miss as well brought a whole new meaning and depth to it...Sigh. But your soo right. He is enough! We leave Thursday morning for a week with my girl and I am almost giddy, lol. Wishing you and yours a blessed Easter! Joyce, can I just say I don't look forward to the day my sons each "fly the coop?" There are days when I think I'm ready for them to be grown. And then I see one of their sweet, innocent smiles directed my way and my heart about melts into a puddle. I can't imagine my days without their colorful personalities tinting each one. But . . . I know it's coming. 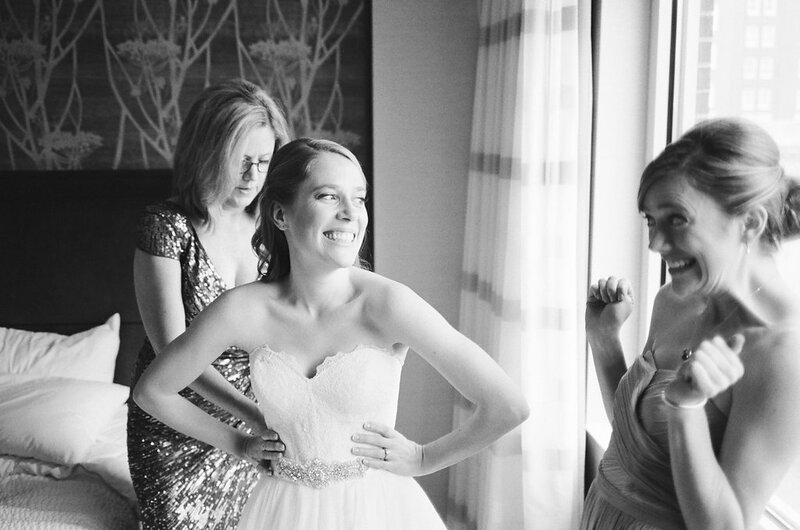 I love that you have the kind of relationship with your daughters that makes getting together a priority. And girl time a thing to look forward to. I hope the moments don't go too quickly, that there's lots of laughter, and that God's joy fills each moment! What a blessing to have had those wonderful days with your girls. Yes, I can also testify that there is never enough time. We look so forward to our Indiana trips and before you know it, its time to head back south and give them time for grands to grow up some more and for all to go on with their busy lives. Then we start looking at the calendar for when we can go again. Dallas is only three hours away and we will actually be able to make three trips to see daughter and grands there this month. Yippee for us! Can't wait to hear about your trip.